Patrons at the night market in Gaya Street, Kota Kinabalu. 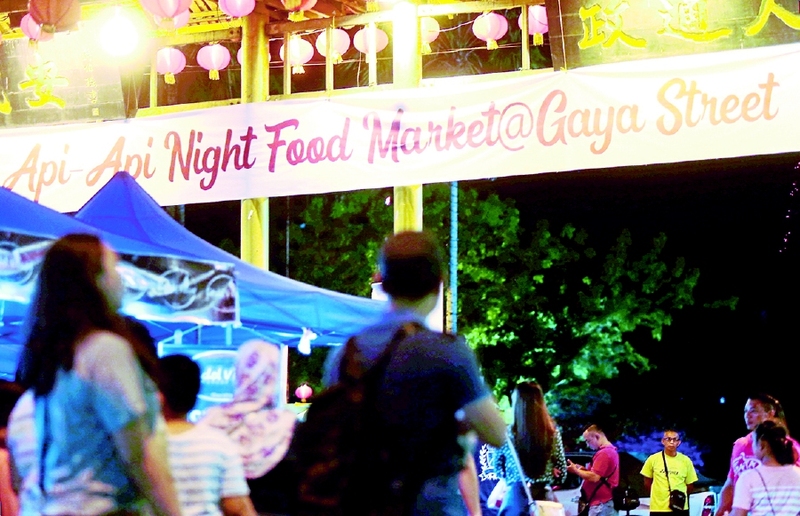 KOTA KINABALU: CITY folk in Kota Kinabalu are left fuming over massive traffic congestion as parts of roads near Gaya Street are closed for the weekend night market on Fridays and Saturdays. They claim that the situation is worse during evening rush hours. Motorist Adam Hanifah, 39, said sometimes the authorities would close the roads as early as 2pm although the night market opened only in the evening. “This causes bottlenecks at several parts of the town. Motorists are stuck for hours in the jam,” he said, adding that he took an extra 30 minutes to reach home on such days. Another motorist, who wants to be known only as Yeoh, believed the roads should not be closed on Fridays. “We understand that night markets contribute to the economy and tourism industry, and benefit local traders. Kota Kinabalu City Hall Complaints and Public Relations department director Lizawana Matin said the roads were closed at 5pm on Fridays and Saturdays.